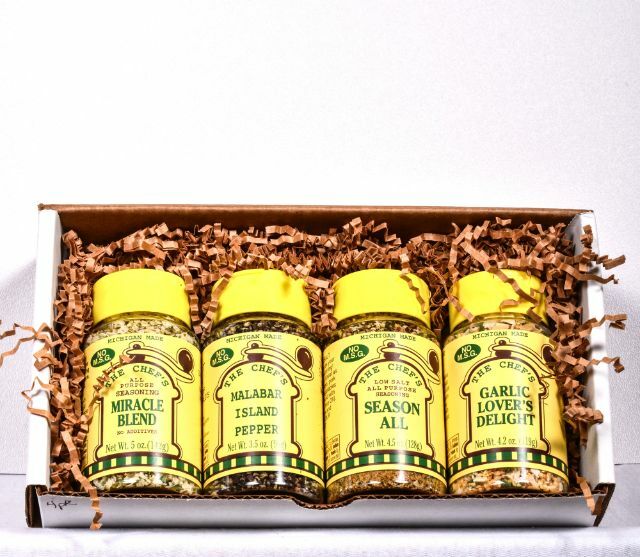 The Four Pack includes: Miracle Blend, Garlic Lovers Delight, Season All, and Malabar Island Pepper. A perfect gift for someone who is just starting out on there own. 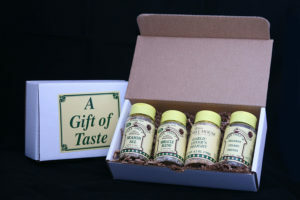 Or just a nice useful “thank you” gift. A useful gift that will be appreciated. $22.26 value for $20.70!